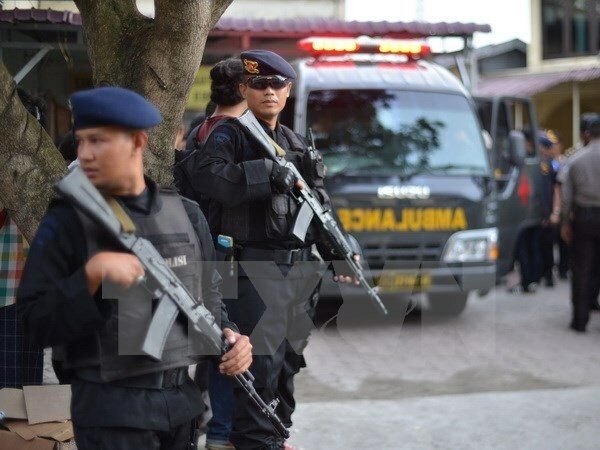 Jakarta (VNA) – Indonesia’s police on August 15 arrested five Islamic militants in Bandung, West Java province, and seized chemicals that they confessed were being used to make bombs for attacks on the Presidential Palace later this month. According to the police, among the five, a couple were deported from China’s Hong Kong for allegedly spreading radical ideology. The group studied bomb-making techniques through a website run by an Indonesian who believed to be fighting with the Islamic State in Syria. Spokesman of West Java province’s police Yusri Yunus said that this was the first time such dangerous chemicals had been detected in the province. However, Yunus did not elaborate on the chemicals or the plan to attack the Presidential Palace.